Description: A new time, a new odyssey, a new chance to confront enigmas arising from the daring Jupiter mission of 2001. Crew members aboard the Leonov will rendezvous with the still-orbiting Discovery. And their fate will rest on the silicon shoulders of the computer they reawaken, HAL-9000. 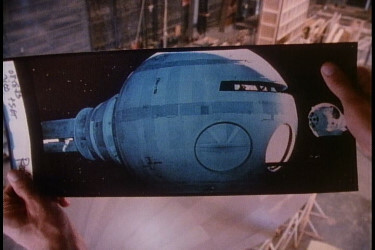 Based on Arthur C. Clarkes 2001: A Space Odyssey sequel, director Peter Hyams spellbinder nominated for 5 Academy Awards* stars Roy Scheider, John Lithgow, Oscar winner** Helen Mirren, Bob Balaban and Keir Dullea. 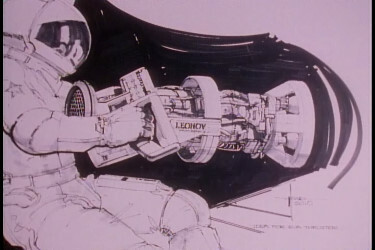 Because "2010" depends so much upon its story, it would be unfair to describe more than the essentials: A joint Soviet-American expedition sets out for the moons of Jupiter to investigate the fate of the Discovery, its crew, and its on-board computer HAL 9000. There is tension on board between the American leader (Roy Scheider) and the Soviet captain (Helen Mirren), and it's made worse because back on Earth, the superpowers are on the brink of nuclear war over Central America. 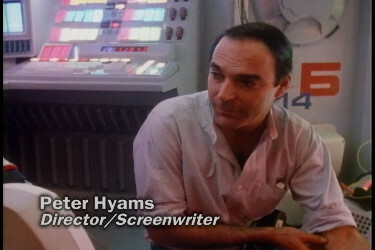 If Kubrick sometimes seemed to be making a bloodless movie with faceless characters, Hyams pays a great deal of attention to story and personality. But only one of the best moments in his movie grows out of character (the touching scene where a Soviet and an American hold onto each other for dear life during a terrifying crisis). The other great moments are special-effects achievements: a space walk threatened by vertigo, the awesome presence of Jupiter, and a spectacular flight through the planet's upper atmosphere. It is possible that no conclusion to "2010" could be altogether satisfying, especially to anyone who still remembers the puzzling, awesome simplicity of the Star Child turning to regard us at the end of "2001.". Despite being a far-cry from my snapper-cased, non-anamorphic, single-layered DVD from September 2000, the Blu-ray, at times, shows the films age, of 25-years. There are some impressive visuals, of space and some close-ups, but others that exhibit background noise. Grain is prevalent but doesn't always appears consistent. Colors seem obviously much brighter and truer than SD could relate but they may have lost a smattering of their lustre as well. The dual-layered transfer is competent and does an admirable job in bringing this sci-fi quasi-classic to high-definition - certainly the best way to see it in your home theater. I strongly suspect this is just how the film looked theatrically with age limiting it only a small step behind. The many space sequences are probably the most awe-inspiring with the technology of the day doing a tremendous effort far outstripping even most later made films of this genre. Fans should be very content with this image quality, perhaps first tempering their expectations to the film's age - our memories have a way of exponentially expanding the nostalgic appearance to unrealistic levels. This is the best 2010 has looked, or will look, for a very long time. Aside from a cavalcade of international language DUBs, we have a True HD boost at a limiting 1408 kbps. It still can sound impressive with the subtleties of the score shining through with minor grandeur. Certainly it's lack of dynamic depth is more a sign of the original source, undemonstrative effect noises, and production levels at the time. There is an optional standard 5.1 English mix that seems to have slightly less range and crispness - but that may be overly trivial. There are a ton of subtitle options signifying this as the region free worldwide releases playable on Blu-ray machines throughout the globe. 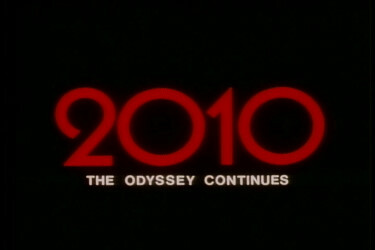 Nothing new has gone into the extras section here with the same 10-minute vintage featurette: The Odyssey Continues in SD. It's a 'Making of...' with some details on the extent of the work involved to achieve some of the effects that we tend to take for granted now. 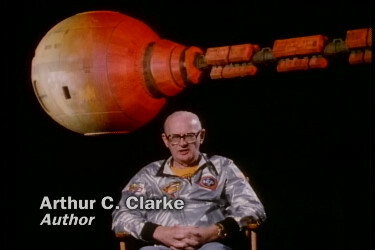 Author C. Clarke gives some input. There is also a theatrical trailer but nothing more. I had forgotten a lot of this film which made my viewing experience all the more pleasurable. Yes, it still have some bona-fide sci-fi appeal and I genuinely enjoyed re-watching it - especially with the more stellar visuals of the Blu-ray. I doubt we're going to see it looking any better and I recommend!